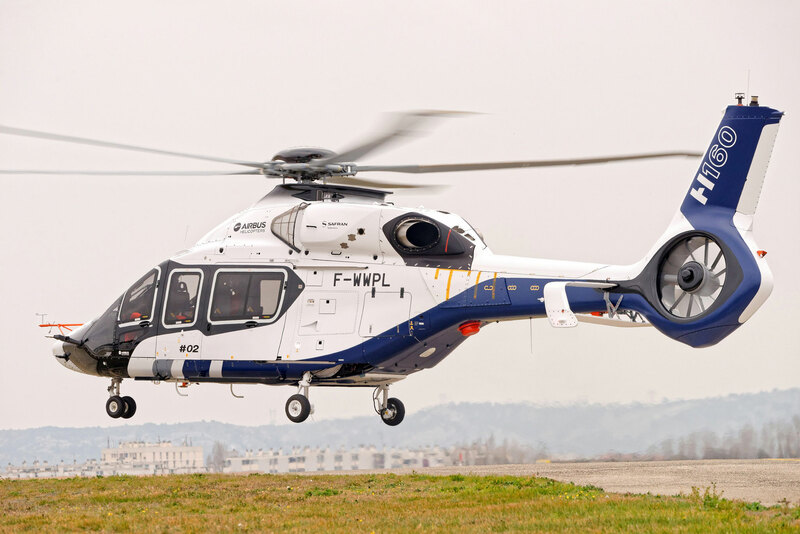 The H160 medium twin helicopter’s second prototype made its first flight today at Airbus Helicopters' headquarters in Marignane, France. This also is the first H160 powered by the Turbomeca Arranos, a 1,100- to 1,300-shp turboshaft that made its first ground run in 2014. The Arranos will be the production standard; the first H160 prototype is flying with a pair of Pratt & Whitney Canada PW210Es. The first H160 had accumulated more than 75 hours of flight testing by the end of last year. This allowed the company to open the flight envelope and validate some of the helicopter’s features and handling qualities, according to Bernard Fujarski, who is heading the program. Three flying prototypes will be involved in the development program, along with two integration testbeds dubbed the dynamic helicopter zero and the system helicopter zero. The schedule has slipped to the right, as the second prototype's first flight was previously pegged for 2015, but Fujarski is still planning entry into service for 2018. The order book will open this year for the H160. An all-new assembly line, with a greater level of automation, will be inaugurated in the second half of this year.